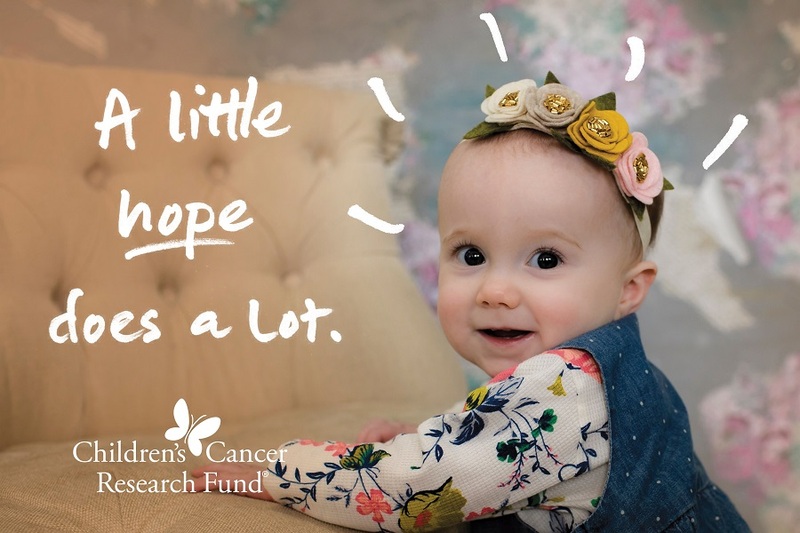 Each day, 43 families in the United States will hear the words “your child has cancer.” This September, we’ve made it easier than ever for you to join the fight. A little does a lot. 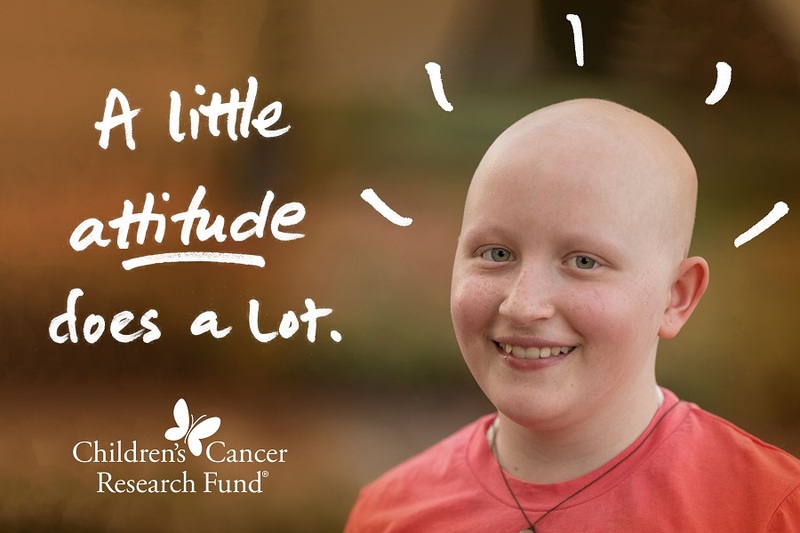 Some problems, like childhood cancer, can seem too big or too overwhelming to solve. 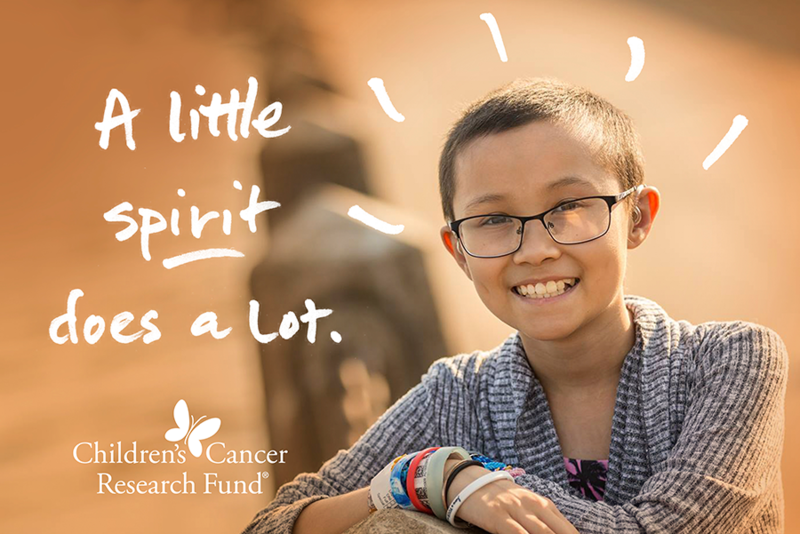 However, researchers are working hard every day to find better treatments and cures for kids fighting cancer – and they’re making progress. Your support helps fund these researchers so their work can keep moving forward. No matter what you can contribute – a little does a lot. Every dollar you donate helps researchers secure an additional $18 from federal funding and other sources. For kids like Nathalia, Jacob, Gabby, Izzy and Nolan, that means clinical trials and better treatment options that can make all the difference. Read and share their stories. 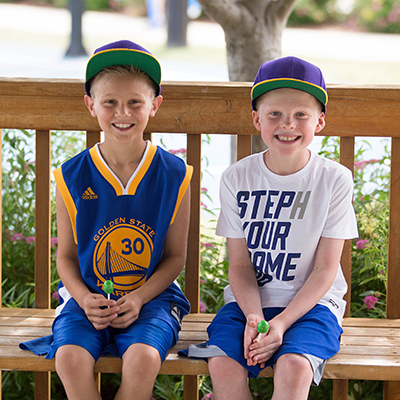 Sharing your story is a powerful way to raise awareness and support for childhood cancer research. We have the privilege of telling the incredible stories of the children, families and researchers we meet every day—you can find them on social media, in our newsletters, emails and more. Tell us about your experience. 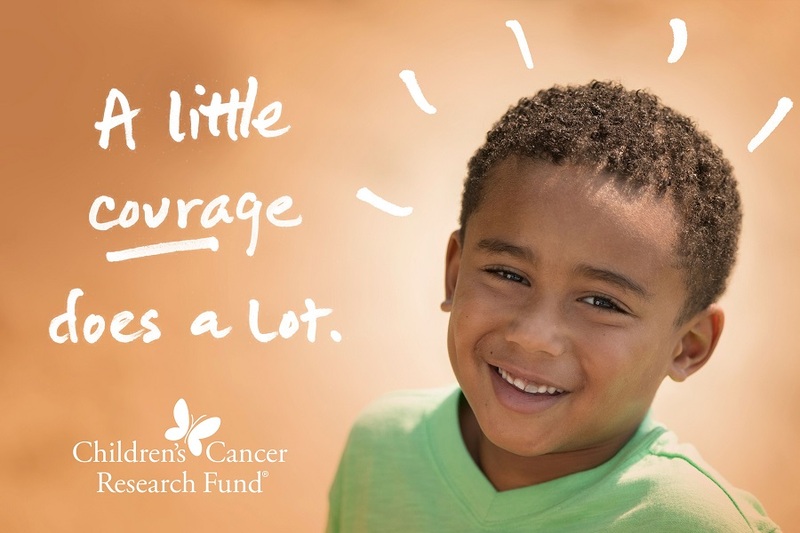 Children’s Cancer Research Fund has made it easy to start a fundraiser to support the brightest and boldest minds whose groundbreaking research is saving children’s lives. Celebrate a birthday, honor a loved one or start your own fundraising event – the possibilities are endless! 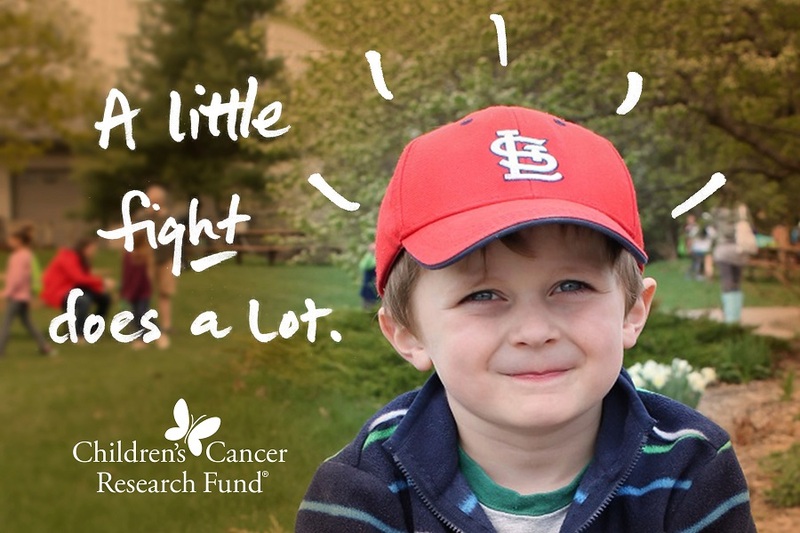 No fundraising idea is too small to make a lasting impact in the life of a child with cancer. And this year, we’ve made it easy for kids to make a difference – check out our brand new kids fundraising page! Children’s Cancer Research Fund is partnering with the Minnesota Twins to host Childhood Cancer Awareness Month night on September 7. The evening will include special player involvement opportunities, Children’s Cancer Research Fund representation in the stadium, a table to learn more about CCRF outside of Target Field and more. Shop and dine with us! In September, you can also fuel innovative research by shopping and dining with our partners supporting childhood cancer research. AmazonSmile: Amazon donates 0.5 percent of the price of your eligible AmazonSmile purchases to the charitable organization of your choice. Show your support by visiting smile.amazon.com and selecting Children’s Cancer Research Fund! Aamodt’s Apple Farm: Guests at this Stillwater, Minnesota apple farm and their cidery, Thor’s, will have the opportunity to round up or donate a dollar at their registers during the months of September and October. Chik-Fil-A in Apple Valley: This Chik-Fil-A location will donate 20 percent of cookie sales in September to CCRF. RF Moeller Jeweler: All September, RF Moeller Jeweler will be donating 100 percent of watch battery sales across their three locations to CCRF. Punch Pizza: Punch Pizza is generously contributing 10 percent of all pizza sales the week of Sept. 24 and will be taking cash donations. Smack Shack: This Minneapolis seafood joint is donating $2 for every “Zach Attack” lobster roll they sell during the month of September to CCRF. Subway: Two Minneapolis Subway locations (Nicollet Ave. S and S. 5oth St.) will donate 15 percent of all cookie sales in September to CCRF.